SUNNYVALE, CA--(Marketwired - May 25, 2016) - AMD ( NASDAQ : AMD ) today announced AMD Multiuser GPU (MxGPU) for blade servers, AMD FirePro™ S7100X GPU. AMD MxGPU is the industry's first and only hardware-virtualized GPU compliant with the SR-IOV (Single Root I/O Virtualization) PCIe® virtualization standard. The AMD FirePro S7100X GPU is a simple, secure solution for graphics virtualization providing workstation-class experience for up to 16 users that is practically indistinguishable from a native desktop experience. Using AMD Multiuser GPU (MxGPU) technology, the AMD FirePro™ S7100X GPU harnesses silicon expressly designed for graphics virtualization and conforming with the virtualization industry standard, SR-IOV to allow easy integration into existing hypervisor ecosystems. The AMD FirePro™ S7100X GPU is the newest addition to the AMD line of graphics virtualization products, designed in an ultra-compact form factor with a TGP of just 100W that makes it ideal for blade server deployments. Hewlett Packard Enterprise (HPE) is the first to offer the AMD FirePro S7100X GPU in HPE ProLiant WS460c Gen9 Graphics Server Blades available now. Rather than repurposing existing GPUs and adding a software layer to accommodate virtualization requirements, AMD MxGPU harnesses an entirely new class of GPU architecture designed with virtualization capabilities built into the silicon. Compliant with the well-established PCIe virtualization standard SR-IOV specification, AMD MxGPU unburdens the hypervisor from proprietary and complex software implementations, leveraging the existing PCIe device management logic in the hypervisor to manage GPU virtualization. Each virtualized GPU instance appears as a full-featured, native graphical device to the virtual machine's guest operating system, allowing it to be used with certified professional graphics applications and for GPU compute with effectively the same experience as an application run on a native device. Predictable performance - The AMD FirePro S7100X GPU supports up to 16 users per GPU across a range of virtualization solutions including VMware, SOLIDWORKS, and Siemens NX™ and Solid Edge®. The AMD FirePro S7100X GPU enables hardware-controlled scheduling cycles to provide predictable quality of service (QoS). Deterministic QoS results in smooth transitions from proof-of-concept pilots to organization-wide deployments. Additionally, AMD MxGPU technology provides users with close-to-the-metal functionality, helping to deliver a virtualization experience that is remarkably close to that of a native desktop. Greater simplicity - AMD MxGPU technology is the only graphics virtualization solution in the industry that exposes the graphics functionality of the GPU to the virtual instance allowing full support for graphics APIs like DirectX® and OpenGL®, and GPU compute APIs like OpenCL™, enabling applications to be run in virtual environments without altering the code. Configuration and management is simple using native AMD FirePro™ graphics drivers rather than proprietary software found in competing offerings, and no profiles are needed so administrators can flexibly add and remove virtual machines as they see fit. Increased security - One of the key benefits of VDI is the ability to centralize and secure data and resources. AMD MxGPU technology preserves the data integrity of virtualized desktops and their application data using hardware-enforced memory isolation logic, rather than a software virtualization overlay found in competing offerings, to separate one virtual machine from being able to access another virtual machine's data. Exceptional value - The AMD FirePro S7100X GPU exposes the full-functionality of the GPU, and optimizes GPU resources across users. 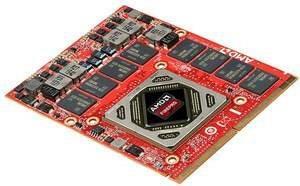 Unlike other offerings on the market, AMD MxGPU technology also has no hardware user license fees. "The AMD FirePro S7100X GPU is a compelling addition to the AMD MxGPU product line on the market, marking the only hardware-virtualized, purpose-built GPU solution for blade servers that we're proud to join with HPE to bring to market," said Ogi Brkic, senior director, product management, Radeon Technologies Group, AMD. "The pairing of HPE ProLiant WS460c Gen9 Graphics Server Blades and AMD FirePro S7100X GPUs is exactly what customers have been asking for as they look to address their virtualization challenges." "Today's workforce is demanding to go mobile and wants a superior user experience. In addition, new use cases are emerging that require dedicated performance for demanding graphics applications," said Paul Miller, HPE VP of Marketing for Converged Data Center Infrastructure. "The new AMD FirePro S7100X GPU for the HPE ProLiant WS460c Gen9 Graphics Server Blade enables our customers with powerful graphics performance and virtualization capabilities for business power users and designers. This new solution helps improve end-user experience, deliver graphics-accelerated VDI and drive high performance access to applications they use daily on virtually any device, from anywhere on the network." HPE ProLiant WS460C G9 Graphics Server Blades powered by AMD FirePro S7100X GPUs are available now. For more information, visit www.hp.com. View Dell's server offerings featuring AMD Multiuser GPU solutions including the PowerEdge R730 Rack Server, PowerEdge C4130 Rack Server, and PowerEdge T630 Tower Server. See more information about AMD MxGPU solutions on the AMD website. For more than 45 years AMD has driven innovation in high-performance computing, graphics, and visualization technologies -- the building blocks for gaming, immersive platforms, and the datacenter. Hundreds of millions of consumers, leading Fortune 500 businesses, and cutting-edge scientific research facilities around the world rely on AMD technology daily to improve how they live, work, and play. AMD employees around the world are focused on building great products that push the boundaries of what is possible. For more information about how AMD is enabling today and inspiring tomorrow, visit the AMD ( NASDAQ : AMD ) website, blog, Facebook and Twitter pages. AMD, the AMD Arrow logo, FirePro and combinations thereof, are trademarks of Advanced Micro Devices, Inc. DirectX is a registered trademark of Microsoft Corporation in the US and other jurisdictions. OpenCL is a trademark of Apple Inc. used by permission by Khronos. PCIe is a registered trademark of PCI-SIG Corporation. VMware and Horizon are registered trademarks or trademarks of VMware, Inc. or its subsidiaries in the United States and other jurisdictions. Other names are for informational purposes only and may be trademarks of their respective owners.